With the exit (or acquisition) of Grab's main rival from the ride-sharing market in South East Asia, consumers have rightly noticed that Grab has shifted its strategy from offering upfront promo codes to aggressively trying to market its loyalty program. And while most are easily enchanted by the cost of a ride dropping by $5 or $10 at the time of booking, less are drawn to the GrabRewards points one earns at the end of the ride. However, since Grab has already decided to do away with promo codes and that the company is expanding into the food delivery and bikes on demand space, it pays to be aware of what the GrabRewards system is all about. Make no mistake - Grab is still offering an enticing way for its customers to earn some form of value, it's just that this is credited after the fact as a means to build loyalty with the Grab platform. Some might even argue that because there's a wider variety to redeem these GrabRewards points, that this is a good development for the consumer. Earning GrabRewards points also isn't restricted to the 'rides only' conditions of promo codes - one can earn points simply by transacting with Grab no matter whether you're paying for a ride or paying for your dinner using GrabPay. You can still get free/cheaper rides - it's just a little less direct nowadays. This however was not meant to last. When we were writing this guide, Grab did indeed offer a considerable amount of value to the consumer. However, the recent and unannounced devaluation (20 July 2018) has completely made the GrabRewards platform a dud. Nevertheless, this guide will delve into the various intricacies of the world of GrabRewards in order to teach you how it all works, and perhaps, give some pointers as to how you can get the most value out of the program. Pretty self-explanatory and probably the reason why you were looking up ‘Grab’ in the first place. One can pay for Grab rides using cash or through GrabPay which is linked to your personal debit/credit card. Obviously, the latter earns more GrabRewards points. Billed as the replacement to UberEats, GrabFood is gradually entering the food delivery business, challenging players like Deliveroo and Foodpanda. Curiously, the latter two do not have their own loyalty programs. A new way of paying for items akin to QR code dominated Alipay and Wechatpay. At these merchants, just scan their labelled QR code and a new window will pop up. This will allow you to enter how much you would like to pay the merchant. Jumping into the hotly contested bike sharing space, GrabCycle is the company’s effort to create a ‘bike-sharing marketplace’. The only partners on the network are Anywheel and PopScoot but others will join the platform in the months to come. Spending GrabRewards points is equally simple as you can redeem either vouchers or discounts/items with partner merchants. Redemption options include vouchers for Grab services, miles on Singapore Airlines' KrisFlyer, vouchers at TOPSHOP/TOPMAN, discounts at Naiise and the list goes on. Earning status with GrabRewards simply involves spending on the platform be it on rides, bicycle hires, paying in stores or whatever that gives you points. When you do hit the stipulated threshold for that tier, you'll automatically be upgraded. Unlike airline elite status, GrabRewards tracks status on a 6-month basis which means that you can only keep status for year’s next 6 month period (Jan - Jun or July to Dec) plus however many days there is left before Jun 30/ Dec 31. While the total amount of points needed to achieve the next tier has been drastically reduced, this also makes sense since everyone is earning lesser points per dollar now. That being said, the total amount that needs to be spent with Grab to achieve each tier has been reduced slightly meaning that technically, tiers are more easily attainable after the devaluation. For example, where the Silver tier required $187.50 to be spent on 16x rides, it now only takes $100 with 3x rides. Obviously Grab is being as nebulous as possible when describing the benefits of each tier. For one, the wording doesn't state that the 'preferential pricing' for some rewards scale based on the member's tiers. This means that while a Silver member might need 10,000 points for 1,000 KrisFlyer miles, a Platinum member might only need 9,000 points instead. The notion of having 'priority access to new features' is also pretty vague. In any case, points earned throughout either Period 1 (Jan - Jun) or Period 2 (Jul - Dec) are valid for one year and expire at the end of the subsequent period to which they have been accrued. This means that points earned through out Jan - Jun will expire on 31 Dec of the same year. Redeeming points do not affect your membership tier. Now this all sounds pretty ordinary - but the thing about the GrabRewards program is that one earns different amounts of points (per dollar spent) depending on which country they sign up in, and where they are taking rides in. Following this, tier qualification quanta also vary by country. As mentioned, the rate at which you earn points (for every dollar spent) varies by country, which is perhaps because Grab needs to offer more value to consumers in certain ride-sharing markets compared to others. That's a devaluation rate of above 60%. At best. Hence, you can see that ‘earning’ Grab points varies based on the country you are taking rides in. This is a pretty important thing to take note of because as travellers, we're all very likely to be taking Grab rides when travelling within South East Asia. Note here however (with the changes of 20 July 2018) that the earnings rates have been massively devalued (once 16 points per dollar for Grab rides in Singapore but now 3 points per dollar). It has also been adjusted for which tier you are in meaning that higher tier Gold and Platinum members will earn more per dollar. This is not a Singapore only phenomenon either. Devaluation exercises have been carried out in all markets that Grab operates in except for Vietnam (though probably due to an error). Considering that you can earn a considerable amount of points 'on the cheap' in countries like the Malaysia, Cambodia and Vietnam, it 'makes sense' to eschew the services of local taxi companies in favour of those registered with Grab. Grab drivers (by virtue of the need to maintain high ratings) also have the incentive to provide a safe and efficient ride. A more entrepreneurial crowd might see the higher accrual rates of some countries as a 'ride running' opportunity where one deliberately takes rides more often (with a purpose of course) for the sole goal of earning more points/earning Platinum status. Though this won't be exactly lucrative for all, it might make sense for those on the verge of hitting the next tier and have a holiday planned anyway. As redemption amounts vary by your status with GrabRewards, it follows that the value that you get per point/per redemption will vary. Note that by redeeming your points, you won't be sacrificing the amount of points you need to reach the next tier of membership. Grab Vouchers are the latest reincarnation of the much adored promo codes. It's just that you're getting these in exchange for your hard earned GrabRewards points instead of them being freely given out/dug up via a Telegram Chat or deals website. With the new devaluation, the cost of rewards in points have been equalised across all membership tiers, with Platinum members potentially seeing marginally better redemptions rates. With such a huge devaluation in earning rates, this means that the cost of rewards has skyrocketed especially since the cost of rewards has not been adjusted to a lower accrual rate environment. The cost of Grab vouchers (in points) now cost equal regardless of which membership tier you hold. Nevertheless, they still work the same as regular promo codes except that they're personalised to your account. We've made a list of how many points you'd need in order to redeem Grab vouchers. At launch, GrabRewards points converted to KrisFlyer miles at a rate of 11,000 points to 1,000 miles. Recently, this rate has been reduced to 10,000 points for the same number of miles. Furthermore, members holding status at higher tiers can see rates as low as 9,000 points. Considering that earning 10,000 points costs $3333 in 3x GrabPay rides, it follows that Grab is ‘valuing’ 1,000 miles at $3333 spent, meaning that you’ll be earning 0.3 miles per dollar on every 3x eligible dollar. This will obviously not be the case every time (as GrabFood and GrabCycle earns at a slower rate). These converted miles are also clearly not elite miles either. We've made a list of how many points you'd need in order to redeem KrisFlyer miles. The strength of the GrabRewards platform is that it has a wide variety of partners signed up. This means that your points can either go towards redeeming a meal or even car cleaning services, basically whatever you might fancy. Head to this document for a comprehensive list of the possible redemptions you could make with your points, along with how much value (in cents) you’d be getting per point. It’s obvious from the list above that $5 at one merchant is not equivalent to $5 at another. For example, a $10 Nike voucher costs 4450 points while a $10 voucher at Tim Ho Wan costs 3650 points. Go figure. Grab also has occasional '60 minute deals' like its recent ‘Tall Sized Starbucks Drink for only 1500 points (usually 2900 points)’ which may prove valuable to you. To claim these deals, you’ll have to log onto GrabRewards (through the Grab app) at the specified time (eg. 21 - 25 May at 1pm) to redeem it. Grab currently has a tie-up with local supermarket FairPrice that’s billed as a ‘lifestyle subscription program’. This goes for $30 in your first year and then goes up to $50 thereafter. The third Monday of the month things seems a little odd - either Grab knows exactly which day of the month, and at which times of the day its ride volumes are lowest; or that this time records the highest volumes of the week which means that surge pricing will kill your discount. *You get immediate ‘savings’ of $10 for Plus! Membership, $6 from LinkPoints and $10 from Warehouse Club membership. Though the heady (and so very lucrative) days of freely flowing promo codes are over, it's good to know that Grab has invested the time and money into creating a loyalty program. Expanding the rewards program into the realms of bike sharing, food delivery and even paying for items in store is a genius move on the part of Grab because it endears consumers to using its services. For the consumer, it also means that the ability to pay with your phone at usually 'cash only' merchants just makes life much more convenient. Earning points from these same merchants is also a definitely plus point. Considering that most people look at rewards program from a less than analytical lens, the psychological positives of GrabRewards operating as the region’s only comprehensive loyalty program for ride-sharing is huge boon for Grab. After all, don’t we all love to get free rides? While it's still early to say, it's clear that Grab is coming of age as it fine tunes its strategy. We're also willing to support the company as it has recently shown to be a force for good - the company negotiates with petrol providers and car rentals companies to offer discounts to its drivers. It’s also offering scholarships and bursaries to its drivers’ families. Whilst in the beginning promo codes and the allure of discount fares was enough to entice customers to the platform, continuing that strategy is now more of a liability. As more people are already familiar with the convenience and ease at which Grab rides can be taken, future-proofing the company means that it has to retain its customers well. The best (and most cost-effective way) to do this is to have a robust loyalty program that is tailored to the individual, encouraging more rides to be taken. That being said (and a lot of this guide was written before the devaluation), the changes made to the GrabRewards program has significantly reduced the efficacy and value proposition of the program to the everyday consumer. Not only do tier levels afford little benefits, it is wholly unable to make up for the extremely tough 'increase' in the price of rewards like Grab vouchers or KrisFlyer miles. 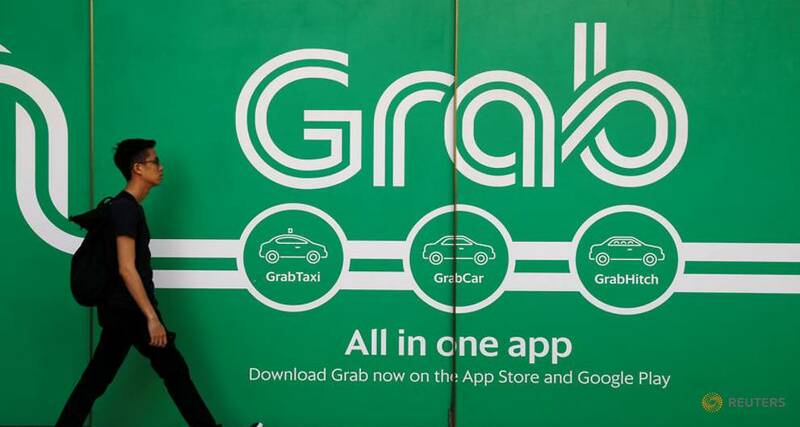 Grab has mentioned that it informed consumers of the changes in an email sent out on 1 July. However, it seems that nobody has received it. While in the past many would have loved to ride with Grab simply by virtue of it being not ComfortDelgro, it seems like the pendulum might just be swinging back. In any case, this guide hopes to inform on the ONLY ridesharing loyalty program in the region - though we've highlighted the redemptions that offer the most value per point, only you can determine what the best redemption option will be for your specific circumstances.